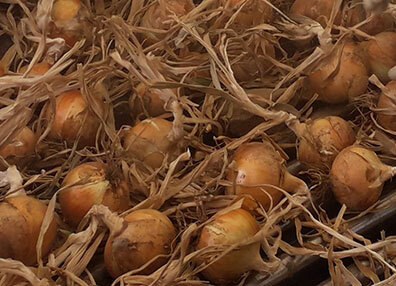 In contrast to Europe, onions are not topped in the field in Japan but are harvested with the stems attached. 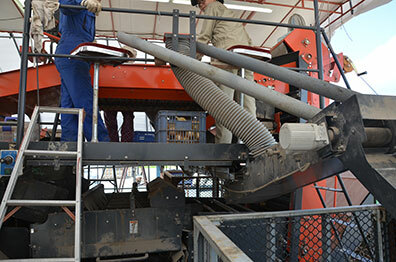 Topping is carried out in a temporary transportable topping station. 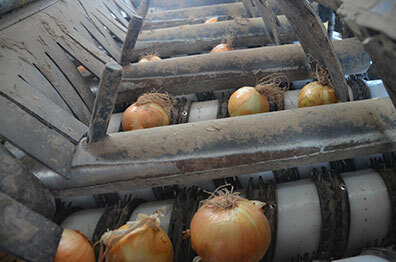 In contrast to European practices, onions are not topped in the field in Japan. 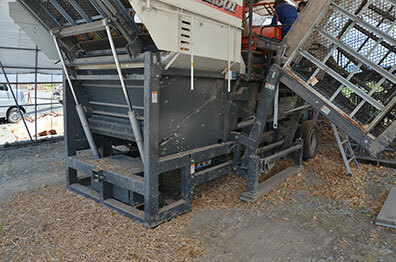 Instead, they are directly loaded from the field into boxes with their stems attached. 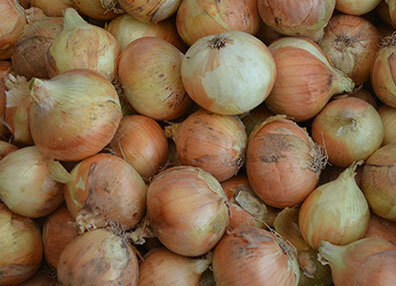 The harvested un-topped onions, temporarily stored in boxes, are left in the field until they need to be topped. The temporary topping station is erected at a strategic location near the field. 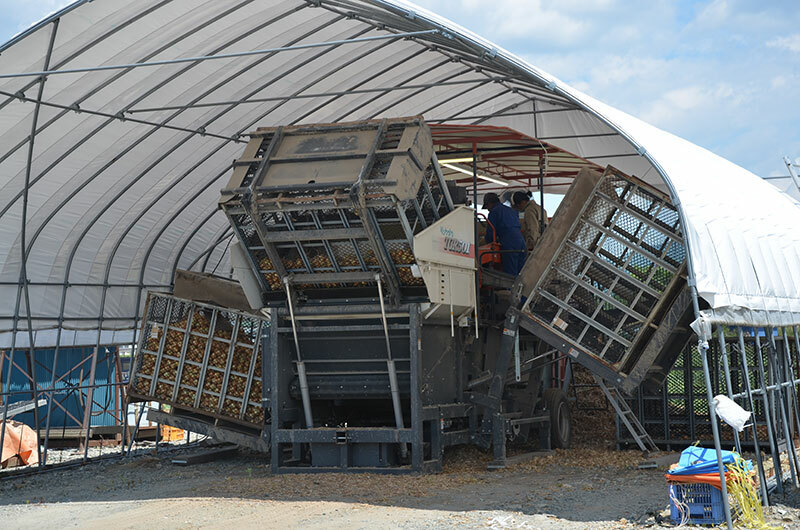 These installations move from field to field after the onion harvest. These temporary topping installations look enormous, but without the boxes it is actually very compact and easy to tow behind a tractor. The undercarriage of this mobile topping installation with its wheels and connection to the tractor. 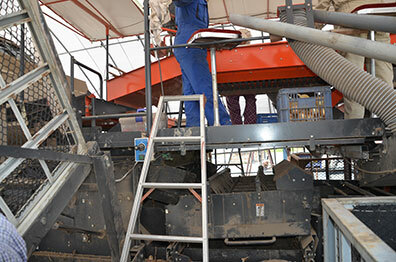 Topping takes place at the bottom of the machine. The final inspection happens at the top (the orange part) before the onions are loaded back into the boxes. Part of the topping mechanism. These topping stations are placed beside the onion fields before the harvest.